As a Starwood Preferred Guest, you can make your travels even sweeter by enjoying member benefits and earning more Reward points at award-winning Starwood hotel brands across the globe. Starwood is revered for its attention to quality and luxury, so that you can have a memorable stay, no matter where you are in the world. How Do I Become a Starwood Preferred Guest? Becoming a Starwood Preferred Guest is easy! Sign up online. 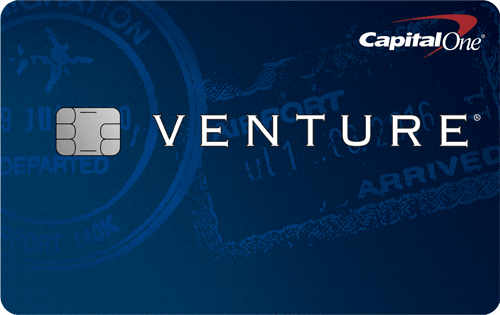 Once you activate your account, you will have the option to earn Starpoints or miles from your choice of frequent flyer programs. You can select or change your earnings preferences from your Account Settings. The membership levels of the Starwood Preferred Guest Rewards program are divided and based on paid nights per calendar year: Preferred Guest, Gold Preferred Guest, and Platinum Preferred Guest. 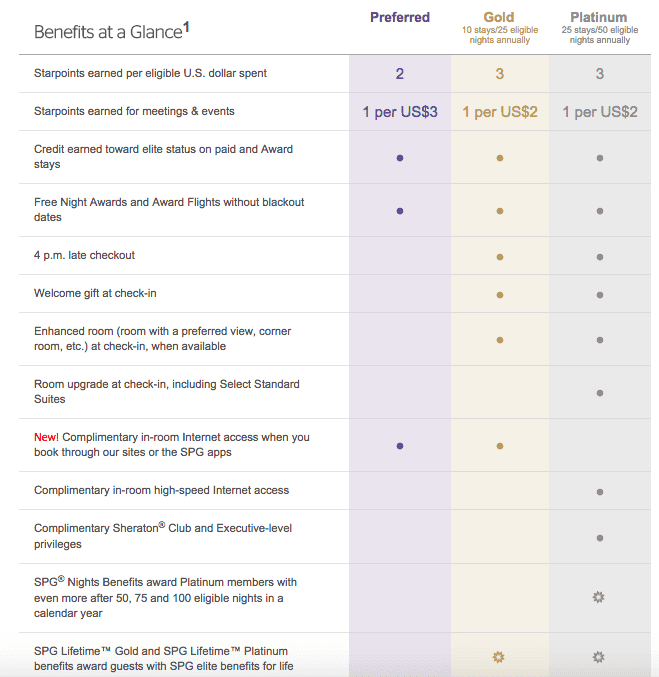 Here are some of the benefits of being a Starwood Preferred Guest. Qualifications: By signing up for the Starwood Preferred Guest program, you automatically gain Preferred Guest status. Becoming a member enables you to earn and redeem points at Starwood hotels around the world. Benefits: As a Preferred Guest, members can earn credit toward elite status not only on qualified paid stays but also on award redemption stays. Members have complimentary in-room Internet access when they book directly through spg.com, Starwood hotel brand sites, or SPG apps. They earn 2 Starpoints for each U.S. dollar spent on eligible stays, as well as 1 Starpoint for every US$3 on meeting rooms and $1 on Uber rides. Qualifications: Members become Gold Preferred Guests after completing 10 eligible stays or 25 eligible nights in a calendar year. Award redemption stays and nights can also count towards elite status. Benefits: Members now can earn 3 Starpoints for every US$1 spent on eligible stays, which is a 50% bonus over Preferred Guests. Gold Preferred benefits include 4 p.m. late checkout, room upgrade at check-in, welcome gift upon arrival, and complimentary in-room premium Internet access. In addition, members can earn 1 Starpoint per US$1 spent with Delta Crossover Rewards on eligible flights, 1 Starpoint per US$2 on meeting room bookings, 1 Starpoint per US$1 on Uber, and 3 Starpoints per US$1 on Uber during stays with SPG. Qualifications: Members can reach the highest tier by completing 25 eligible stays or 50 eligible nights in a calendar year. Award redemption stays and nights can also count towards elite status. Benefits: As a Platinum Guest, members have all the benefits of a Gold Preferred Guest, along with complimentary health-club access, guaranteed room availability for bookings 72 hours prior to arrival, and upgrade to best available room at check-in. After 75 eligible nights, members earn 4 Starpoints per eligible US$1 and 4 Starpoints per US$1 spent with partners like Uber. A stay means an SPG member stays at the same SPG Participating Hotel by one or more consecutive nights. In order to qualify for a stay, the member must provide his/her member number at the time of reservation or at check-in; pays an eligible rate or, redeems an SPG Award or an SPG Promotion Reward for the stay; and stays in one of the reserved guest rooms. If an SPG Member checks out of a guest room and then checks back in to a guest room at the same SPG Participating Hotel on the same day, it will count as a single stay for purposes of calculating Stays. An SPG Member may only earn Starpoints, eligible night and eligible stays for up to three guest rooms during any Stay if he/she stays in one of the reserved guest rooms and pays an eligible rate or, redeems an SPG Award or an SPG Promotion Reward for all of the guest rooms. With the Starwood Preferred Guest® Credit Card from American Express, members will receive credit for 2 stays and 5 nights each year, plus automatic Gold status if they spend at least $30,000 per year. Members also earn 2 Starpoints for every $1 spent on eligible purchases at participating hotels; Gold and Platinum members receive 3 Starpoints for every $1 spent. They also earn 1 Starpoint for every $1 spent on all other purchases. Have any further questions or comments? Contact SPG Customer Care.